Abstract The purpose for conducting this mixed methods study was to determine middle school principals' perceptions of the importance of the twenty-one performance domains of the principalship in relation to their present job responsibilities. Specifically, the researcher attempted to determine: (a) principals' perceptions of the level of importance for what principals must know (knowledge base) and be able to do (skill base) in each of the twenty-one performance domains, (b) which five of the domains principals perceive to be the most vital in their roles, and (c) if principals refer to the performance domains while describing their work. Quantitative and qualitative data were collected in two distinct phases from nine middle school principals in Nebraska. Initially, principals were asked to respond to a forty-two item survey by rating the importance of having the knowledge and skill bases in each of the domains. Also, principals were asked to list the five domains they perceived to be the most vital for today's school leaders. The second phase of data collection was conducted through the use of personal interviews. Interviewees were asked to describe their work as middle school principals through the use of broad, open-ended questions about the role of the principal. Responses were coded as principals made references to the twenty-one performance domains. Findings for the study were reported in two formats. A narrative description of each case was presented to describe the setting and the work of each principal. Survey data were reported in table format. All of the performance domains were perceived by principals to be very important. 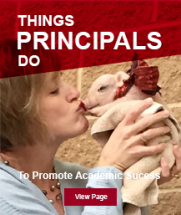 When asked to list them, principals identified Instruction and the Learning Environment, Leadership, Judgment, Motivating Others, Organizational Management, and Problem Analysis to be the most vital performance areas. When asked to describe their work as school leaders, principals most often referred to Instruction and the Learning Environment, Sensitivity, Leadership, Student Guidance and Development, and Public and Media Relationships.